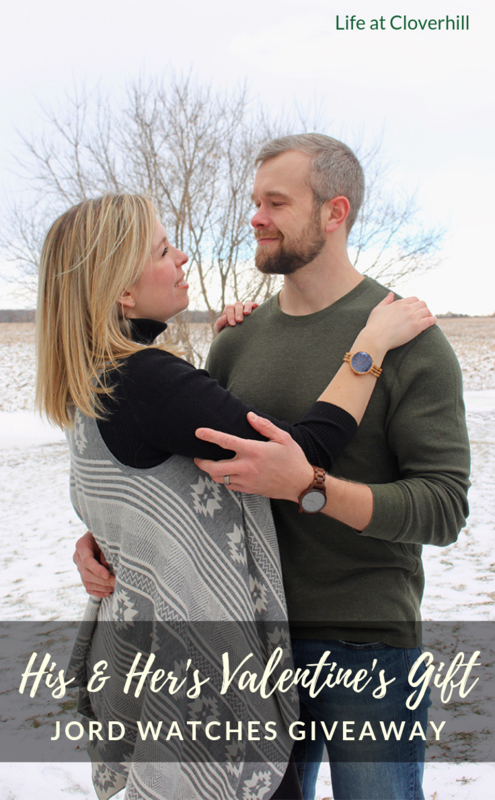 His & Hers Valentine’s Gift Idea – JORD Wood Watch Giveaway! 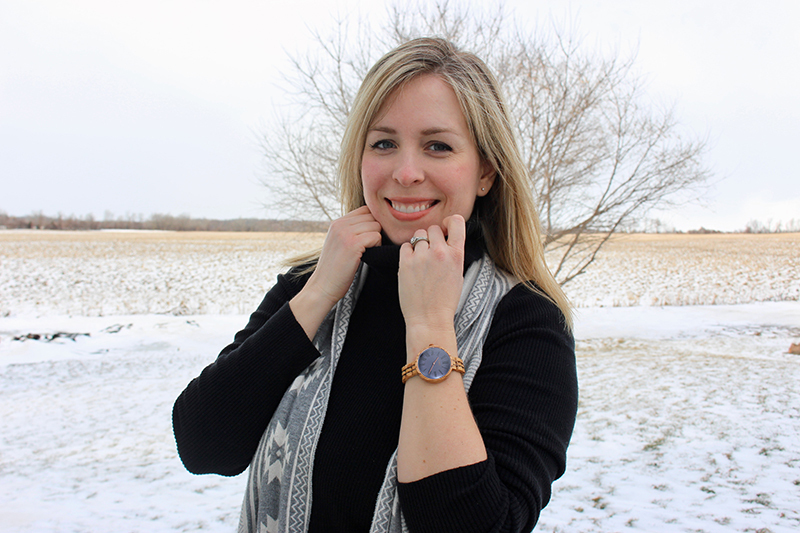 Valentine’s Day is just around the corner and I’ve partnered with JORD Wood Watches to share a unique and special gift idea for your sweetheart. AND…there is a giveaway for one lucky reader to receive a $100 gift code toward the watch of their choice. Everyone who enters gets a 10% off code too! 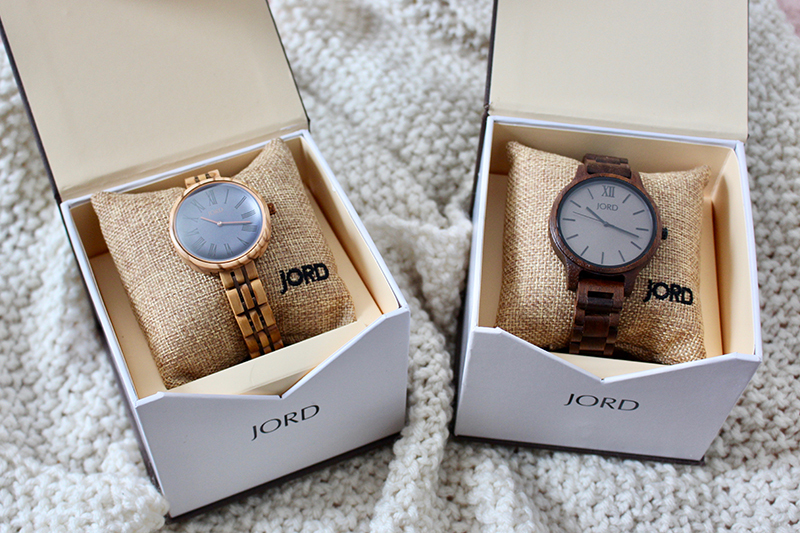 We were so excited when our JORD wood watches arrived in the mail in these beautifully packaged boxes. 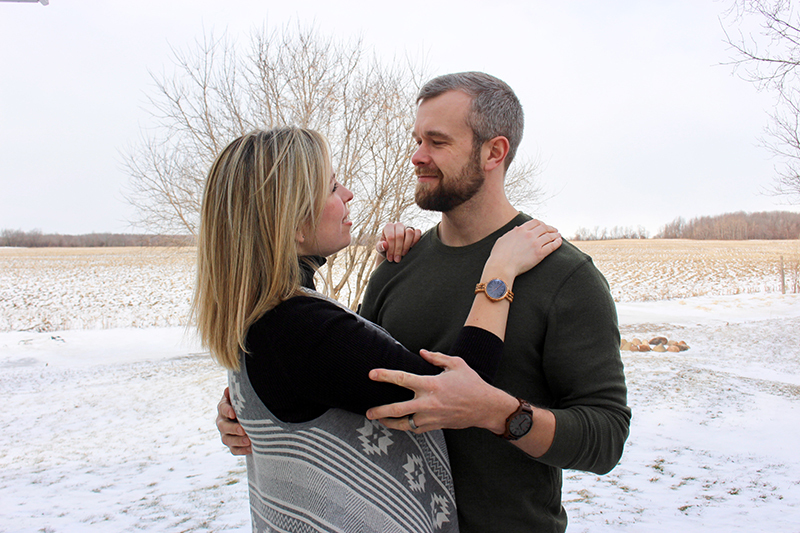 JORD has an amazing selection of unique and stunning wood watches and we enjoyed picking out pieces that we thought we’d each like. 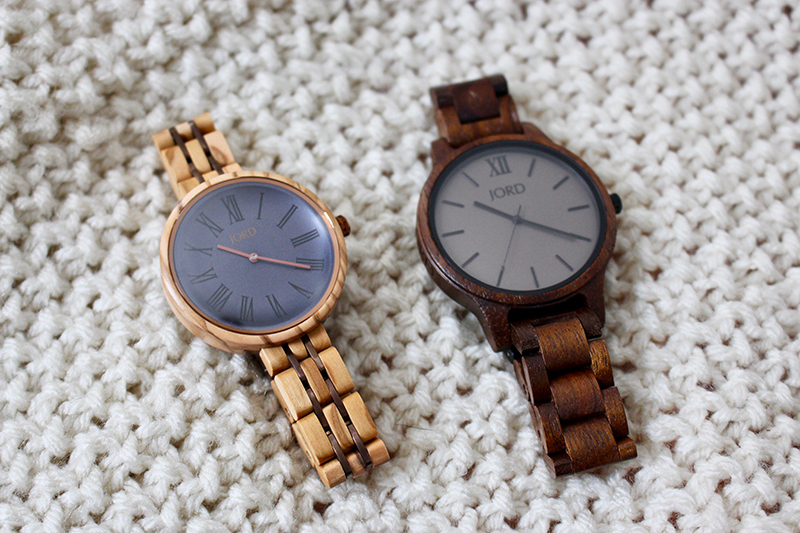 Right away I was impressed with the quality and workmanship of these hand-crafted wooden watches. Garrett chose for me the Cassia watch in Olive and Aegean Blue. The glassy blue face perfectly compliments the rich grain of the watch band. The thoughtful design and innovative construction makes this a piece I’ll treasure for years to come. I picked this larger Frankie in Dark Sandalwood and Smoke for Garrett. 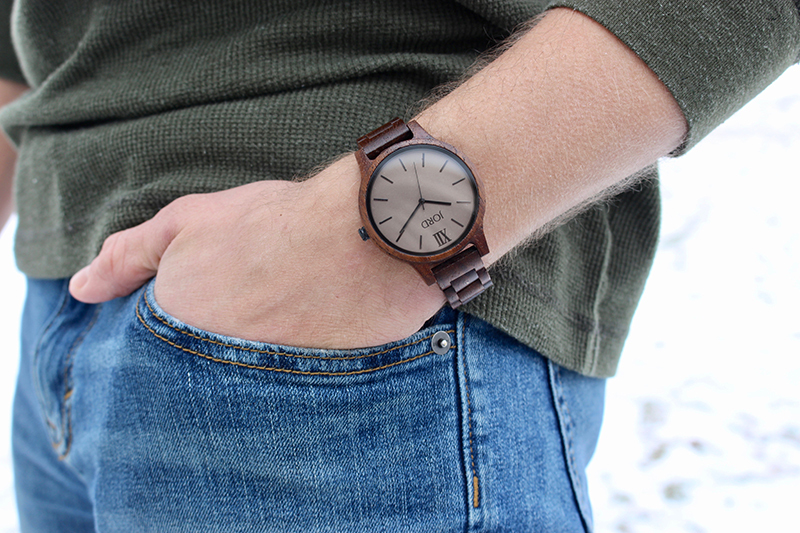 The minimalist design and rugged dark wood fits right in with his style. 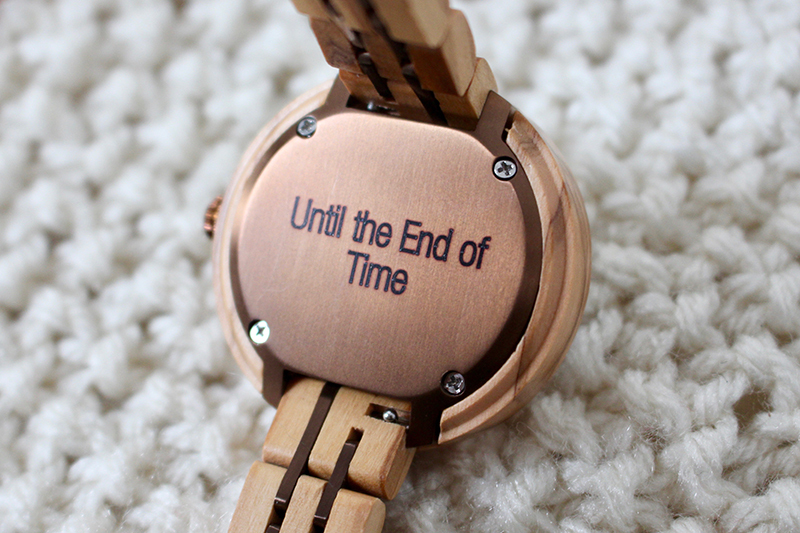 JORD has the option to have your watches custom engraved. We had both of ours engraved with “Until the End of Time”. 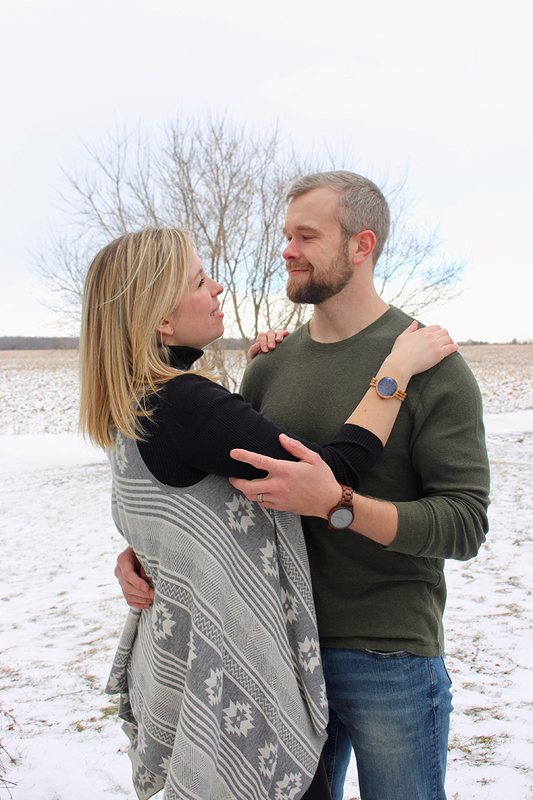 Both of us are minimalists when it comes to accessories and prefer well-made classic pieces, and these beautifully made wood watches are perfect. 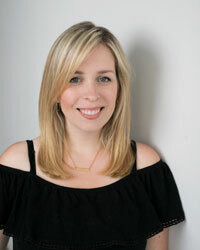 The giveaway ends Feb 17, 2019 at 11:59pm. 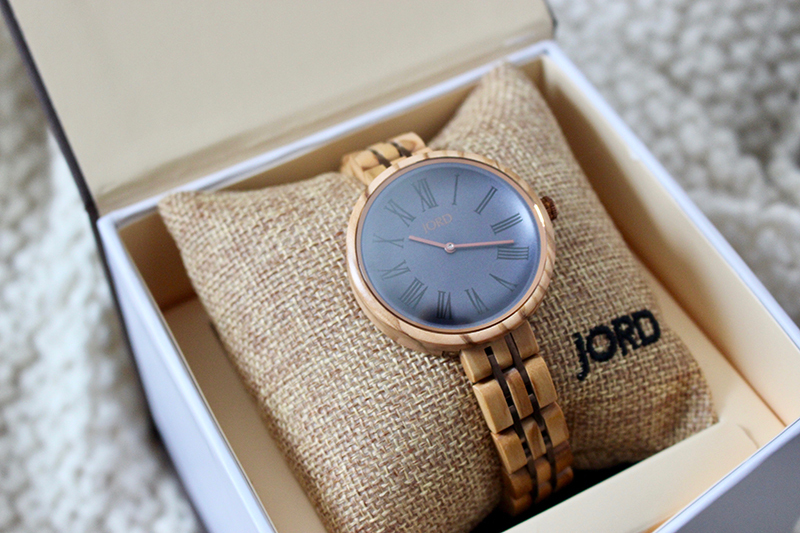 One lucky winner will receive a $100 gift card towards the JORD watch of their choice. There are so many great ones to choose from! Everyone who enters will be emailed a 10% off gift code. 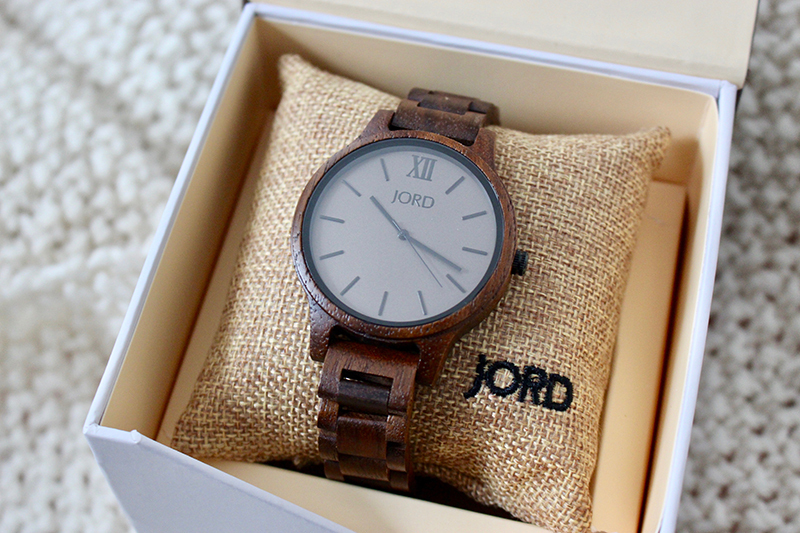 DISCLAIMER: I was provided with our JORD watches in exchange for this review, and a giveaway for you lovely readers. All thoughts and opinions are my own.